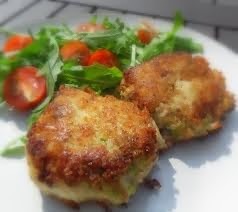 An Irish spin on Fish Cakes with the addition of Colcannon, a mix of potato and cabbage. Add some eggs and almond flour to bind it all together. A little salt, seasoning and some olive oil for frying and you have a delicious meal.